Ivana Giang sits in her living room in front of a wall of postcards that read “#RESIST,” “justice” and “Don’t Tear Families Apart.” She recalls sleepless nights, lots of tears, and the occasional moment of feeling stupid in class — but she just can’t seem to stop smiling. It’s all part of the journey, said Giang, a graduating senior — a journey that has included advocating for diversity in student government, competitive dancing and learning more than she could have ever imagined. And that journey is almost over. Selected from a pool of Class of 2019’s most accomplished students, Giang will deliver the valedictory address at USC’s 136th commencement ceremony on May 10. Luckily, she’s never been afraid of an audience. The daughter of two Vietnamese refugees, Giang graduated from Lakota East High School in Liberty Township, Ohio. She and her best friend — two of five Asian American students in a graduating class of 600 — were the salutatorian and valedictorian, respectively. Giang, who is set to graduate with a dual degree in public policy and global studies, was originally accepted to USC for journalism — a field she wanted to pursue after she joined her high school’s newspaper in ninth grade. But before she even stepped foot on campus, Giang decided journalism was not for her. That’s exactly what she did in her next four years at USC. 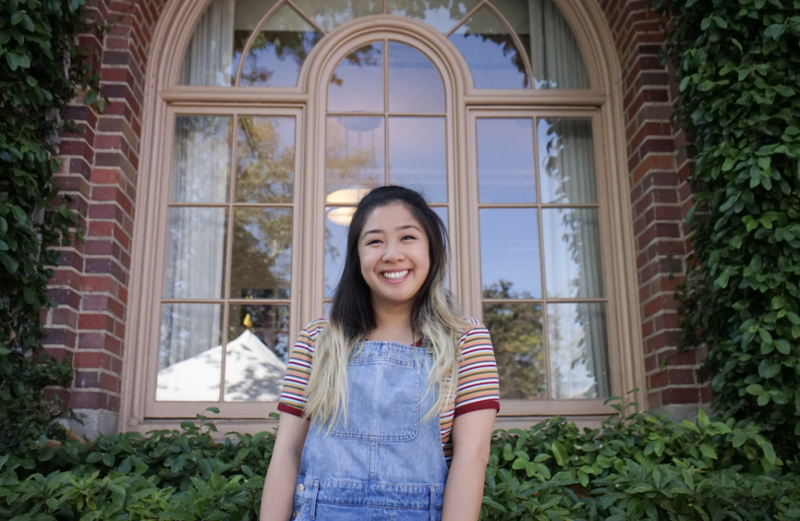 As a freshman, Giang joined the Undergraduate Student Government Diversity Affairs Committee and went on to serve as the committee’s assistant director her sophomore year. Later, as co-chief diversity officer — a position she helped create — Giang pushed for cultural sensitivity training, advocated for support for victims of sexual assault and held a town hall for students to discuss the lack of resources for cultural centers on campus. From her time on USG, Giang began to acknowledge and embrace her own identity as a first-generation Asian American for the first time. Despite her own distinct challenges, she realized she enjoyed certain privileges separate from many of her black and brown classmates, and she grew determined to bolster the voices of others. But as she was working to help other students, Giang came to realize that she was one of the people she had been fighting for. “I was also sexually assaulted at a party in the spring semester of my freshman year … and I didn’t register it until my junior year,” Giang said. According to the Department of Justice, female college students ages 18 to 24 are three times more likely to experience sexual violence. Like Giang, 80% of those women don’t end up reporting the incident to law enforcement. “That was a really scary moment for me — to sit there and think, ‘I have advocated for better resources for sexual assault for the past three years on campus, and I didn’t stop to think that I was the one in four women that they always talk about,’” she said. At the end of every fall semester, Korean American Student Association chapters throughout Southern California come together to compete in the KASA Freshman Dance-Off. Giang joined the competition after seeing a flyer in her freshman dorm, and her decision to perform came to shape the rest of her college experience. It also introduced her to many of her closest friends. The competition accepts all freshmen regardless of prior experience, which was fitting for Giang, who had none. She was looking for a way to step outside of her comfort zone in college, and hip-hop dance seemed like the perfect opportunity. After dance-off, she joined Chaotic 3, a competitive hip-hop group on campus. She spent four semesters practicing over 10 hours a week and competing regularly — the perfect foil to her busy academic schedule. After studying in Nicaragua the spring semester of her junior year, she returned to campus and joined NSQK, a non-competitive group formed by her friend Ten Francis, whom she met through KASA’s dance-off. Since her freshman year, Giang has worked to achieve justice. Justice is what drives her passion for education reform, and it’s what inspired her current project on the history of racial segregation in public schools. For Giang, justice doesn’t just mean filling a quota. Justice, she says, means having the right to experience the beauty of everyday moments, whether that means dancing for the fun of it, sitting down for a family meal or attending a graduation ceremony after four years of hard work. And when she speaks to thousands of her classmates and their families a month from now, she wants to use the opportunity to unite the community she has come to know and love.